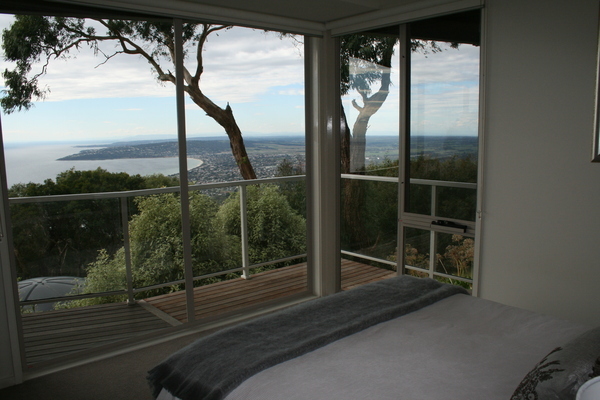 Nestled at the summit at Arthurs Seat, Dream Views at Arthurs Seat B & B offers the relaxing serenity of a romantic peak-top hideaway. 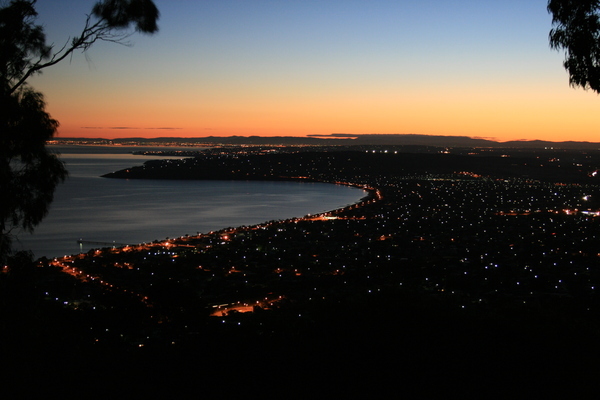 Whether day or night, the spectacular views of the Mornington Peninsula and majestic Port Phillip Bay unfold before you. 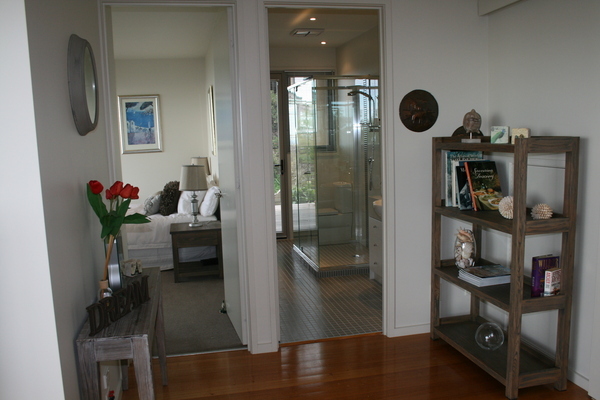 A private entrance from guest parking takes you into a luxuriously spacious living area that offers a touch of French provincial style accommodation with separate bedroom and bathroom. 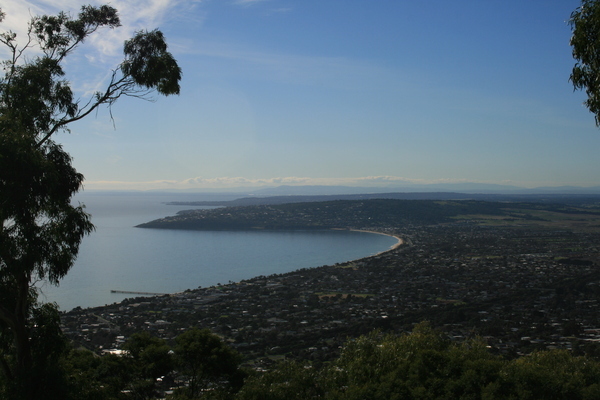 Scenic walks and major attractions including beautiful beaches, golf courses, national parks, restaurants and the notable wineries of the region,are on your doorstep. 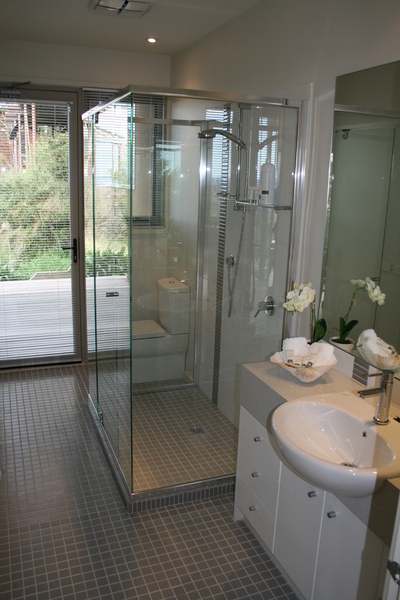 A private sauna with sound system and outdoor shower is at your disposal. 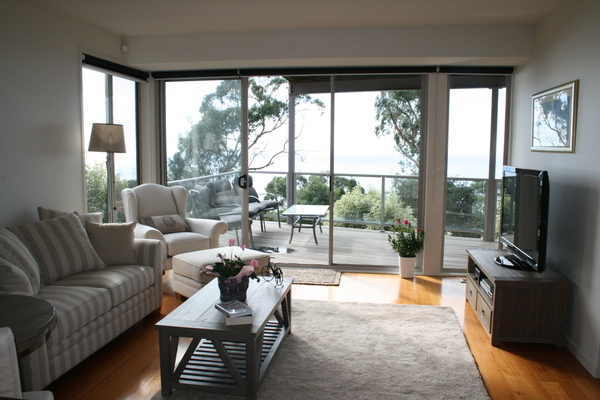 There is a DVD and CD player and two plasma screen TV with Foxtel, are features of both living and bedrooms areas. Reverse cycle air-conditioning provides you with comfort all year round. 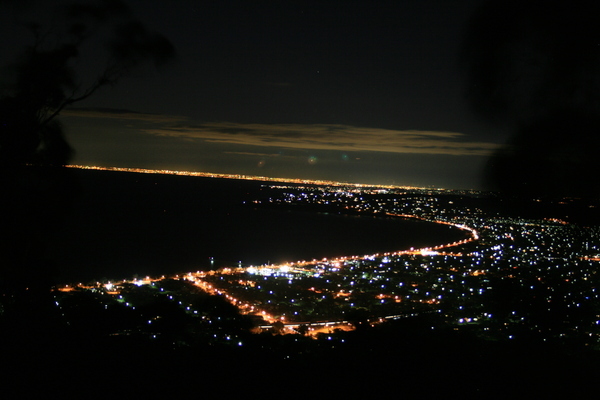 Arthurs Hotel Restaurant and Georges are only a 5 minute walk at the Arthurs Seat summit and there are an abundance of fine wineries and restaurants only minutes away by car. National and State parks are on your door step, with historical Seawinds only a short walk away, other major attractions include beautiful ocean or bay beaches, mazes, golf courses, fine dining restaurants and the notable wineries of the region, on your doorstep. If golfing is your passion then book a game at one of the many superb Peninsula courses. We can only advise of times outside our usual arrival & departure on the day, dependent on other bookings. Booking Policy: Deposit: 50% of total accommodation charge is to be paid immediately by credit card to secure booking. Please note: If booking is 14 days or less to the arrival date full payment is required.